We are moving into a new world of MMJ. No longer is it just flowers, hash and edibles of varying degrees of quality. 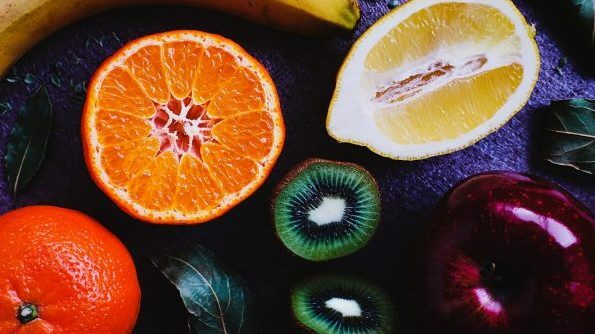 Nowadays, there’s huge ranges of beautiful foodstuffs, near enough pharmaceutical-grade tinctures, oils and products unimaginable in the 60s and 70s, though we’re sure some people had the foresight to see at least some of this coming – we wouldn’t be where we are now, otherwise! One of the best things about using marijuana alone is that you can’t overdose on it. So remember, no matter how paranoid and angsty you’re feeling, the likelihood of you dying from natural cannabis ingestion is nigh-on impossible. Maybe in the future we’ll create a strain that’s like ingesting thousands of pounds of cannabis in one go, but we’re not sure if that’s scientifically possible as of yet! One of the best ways to counteract a negative marijuana experience comes from one’s own psychology in the first instance. Thinking “this will last forever” or “when will this end?” is the wrong way to go about it, though it is an understandable train of thought if you are in significant physical and/or psychological distress. Simply listening to some music (classical music is often seen as a good choice – big up the Bach man! – although your tastes may lean towards jazz, classical Hindustani & Carnatic music and so on), going for a long walk, watching a movie, and otherwise keeping the belly full, the body hydrated and the mind occupied can help prevent an already bad experience from becoming worse. When the going gets tough, use your noggin! 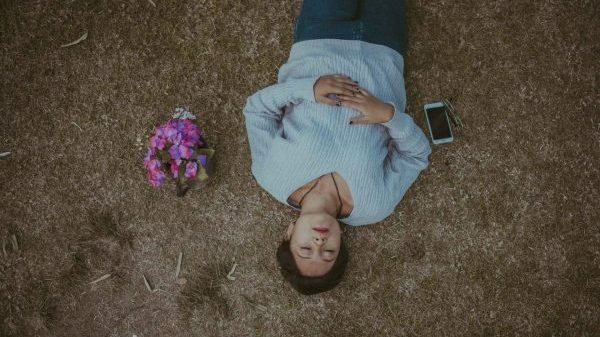 A one-off negative feeling of vomiting, nausea and stomach cramps doesn’t necessarily mean you have CHS, but it’s worth bearing in mind what you can do if you do feel this way. High doses of cannabigerol (CBG) and cannabidiol (CBD) may actually induce nausea in some as well, so be careful and keep your cannabinoid use in balance! If you’re facing a severe attack of paranoia, chewing on a few black peppercorns might well help. 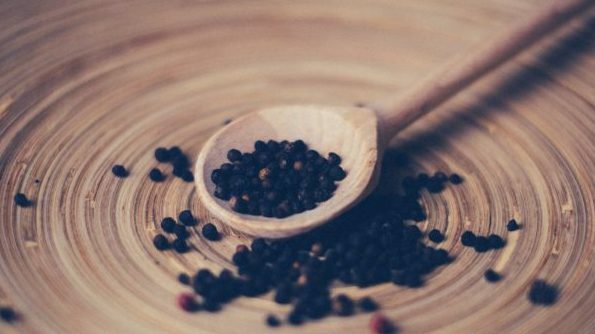 Interestingly, black pepper (Piper nigrum), contains the terpene beta-caryophyllene, which is also found in some cannabis strains like Super Silver Haze. There is also research taking place on beta-caryophyllene’s anti-cancer properties. But how does it help relieve cannabis-induced paranoia? The section entitled “Cannabis terpenoids: neglected entourage compounds?” is interesting, and describes some of beta-caryophyllene’s antiemetic, anti-inflammatory, gastric cytoprotective and antimalarial properties. Much like capsaicin cream, beta-caryophyllene may “awaken the senses” and help break you out of a negative thought spiral, which helps prevent paranoia. Citrus fruits are also good at livening the senses due to the alpha-limonene. Some have said that eating mangoes can help increase the strength of low-THC strains if eaten an hour before cannabis ingestion due to the beta-myrcene. Linalool, which is found in lavender, may help aide relaxation, whilst alpha-pinene (one of the most abundant terpenes in nature, with the potential to beat MRSA) can help beat short-term memory problems. 5. Smoke or Vaporize Some More? Use Another Cannabinoid? In the legendary film, Withnail & I, we see Withnail having a panic attack after having a puff on Danny’s Camberwell carrot. Withnail demands some downers, but Danny suggests smoking some more, wisely stating, “Why trust one drug and not the other? It’s politics, innit?” Danny may have been correct to some extent, and some people use a high-CBD strain or product to help “bring them down” from a too-intense THC experience. Interestingly, low doses of tetrahydrocannabivarin (THCV) may help block THC’s effects to some extent – but be careful, as too high a dose of THCV is psychoactive in its own right and may even potentiate THC’S psychoactivity to some extent! Using other cannabinoids and terpenoids to “modulate” the THC high makes sense, and learning how to do this in combination with one’s diet could prove to be hugely beneficial, health wise. Hopefully, knowing this will help you feel at ease if you’re a first-time or beginner cannabis user. There is still lots of science to uncover, and so much of it is simple trial-and-error that it is difficult to say for certain what will help counteract the effects of too-much-THC. What we do know, though, is that it could be one of the safest medications around, with one of the broadest therapeutic indexes to be found amongst all the drugs of this world. Get your medical marijuana card today and see if cannabis is the thing you’ve been looking for to beat your pain and discomfort!